The Library at Mount Char is...wow, almost indescribable. I hope this mind-bender is on your radar! Don't you love a nonfiction book that fills your head with facts? 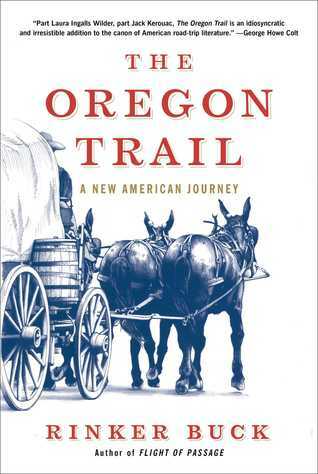 The Oregon Trail is the nerdy, information packed, funny but factual, type of nonfiction that I adore. The options are endless which makes decision making extremely difficult. I'm running into that a lot more often lately. The Oregon Trail book does seem right up your alley, Jennifer! I am a fan of the "pick up a stack of books and read the first five pages of each to see what sticks" method of choosing a new read. However you pick your next book, I hope it's awesome! I just need to make some darn time for reading it! I've had Oregon Trail on my Kindle for months, and it sounds fantastic, but I just can't quiiiiite motivate myself to read it. Options are good! I've been allowing myself to mood read since I got back from BEA, and it's wonderful -- but, like you, I have no idea what's coming next! 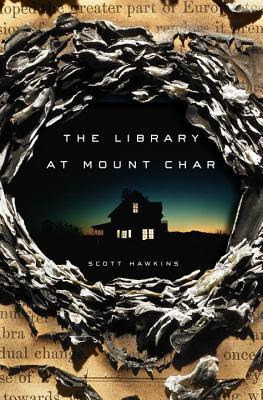 I've been hearing so many good things about The Library at Mount Char...I might give it a shot even though it seemed a bit out of my wheelhouse. It's...seriously I don't even know how to talk about it, lol! I think you should read it though! The more the merrier! The Oregon Trial sounds like my kind of nonfiction! I'm going to finish Bonjour Tristesse this afternoon and am not quite sure what I'll start next. Not knowing what you're going to read next is the best/worst feeling, lol. I've been paralyzed by choices lately which is not a whole lot of fun. I can't wait to see what you think about The Oregon Trail - it definitely sounds like my kind of read and I'm in need of some good nonfiction. Pretty new color scheme! I really want to read The Oregon Trail because I played the game endlessly in elementary school. Ha! Can't wait to read Mount Char! Maybe that one will be next. Thanks, I thought I'd change it up around here :D Mount Char is a wacky trip. I seriously don't know how to describe it! I added Mount Char to my list when another blogger shared her praise on FB. I guess it's good, huh? Have yet to start it. The cover for the Hawkins book is awesome. And like the commenter before me, I may have to read The Oregon Trail because I remember it so fondly from grade school. I'm reading Missoula right now... makes me not want to be around any man but the honeyman, like ever. SO sickening and infuriating. The Martian was one of these books I didn't expect to enjoy, but was surprised by how much I liked the audio.